This is not Laura’s last post but should be read before Mental Health and Museums which is the final post, sorry for the incorrect order. As in my previous post, the unsympathetic development of asylum architecture can very often relegate the history of an institution to a few folders in a county archive, with complete denial of the building’s former use a common marketing trope, as at Princess Park Manor. As an aside, I am currently living in London, and regularly see properties at the Manor – Colney Hatch Lunatic Asylum, as was – advertised in the Evening Standard. I have never once seen any mention of the building’s original use. However, in the face of the alternative – demolition or collapse – perhaps development is the only possible route to survival for many of our listed hospitals. One development in the south of England has proved to be much more sympathetic. Moorhaven Village, formerly Plymouth County Asylum, was developed as a set of homes within the footprint of the hospital, as far as possible (there were a few minor alterations to facilitate access). Moorhaven’s developers were able to use the hospital’s architectural features, for example, its south-facing design (a requirement of all asylums, as mandated by the County Asylum Act 1845) and it’s arrowhead formation, to split the site into individual family homes, without altering the footprint of the building. The developers established protective covenants ensuring the uniformity of the building’s exterior in the future, and have created a management company, funded by the sale of the properties and a small service charge, which protects the building as a whole. Moorhaven is situated in a National Park. This is significant; it provided additional protection to the hospital that others have not had. Location is a key factor in preserving these sites – Princess Park Manor is unlikely to have survived even in its current form, were it not within greater London, where sympathetic conversion (often more expensive than demolition and rebuilding) will return a greater yield. One example of a hospital that has had no such protection, Talgarth Asylum, has been extensively damaged by vandalism and neglect. The developers of Moorhaven had been asked to look at developing the site along the same lines, but the found it to be damaged beyond repair. In an interview for my dissertation, one developer stated “In its current state, I would value it at zero”. In this regard, I think Whitchurch Hospital does have a certain measure of protection. It is not nearly so isolated as Talgarth, and sits within a relatively affluent borough of Cardiff. It’s also bounded by the Melingriffith and Church Road conservation areas, and is of course, a listed building (although many of the Asylums left to dereliction have also been listed). Hopefully, this means that in the event of the hospital’s closure, over-development or negligent dereliction can be avoided. In my next and final post on the topic, I will talk a bit more about preserving the history of the hospital as well as the building. 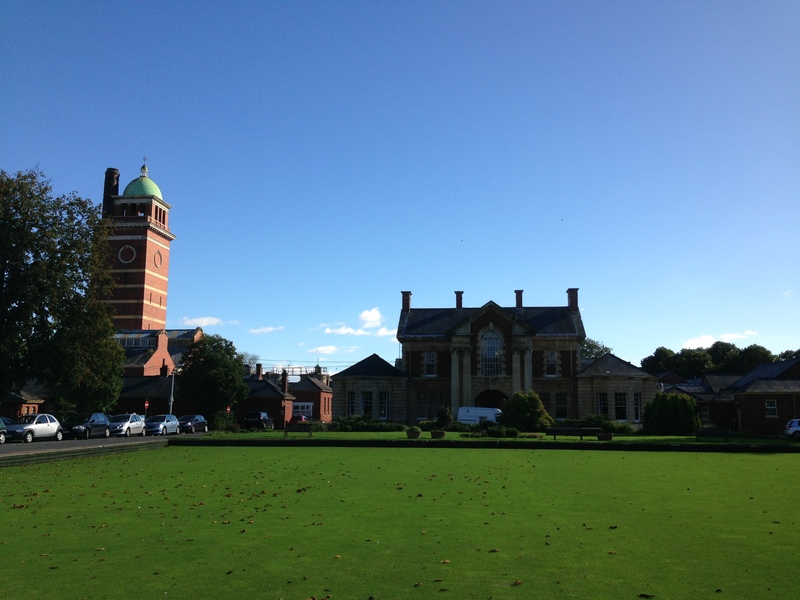 Whitchurch has not only played a significant role in the development of mental health care in Wales, but it has also been important to the whole of Britain, hosting many international research conferences and pioneering new techniques in the early-twentieth century. It has also, perhaps most importantly, played a significant role in the lives of its staff, its patients, and the local community for over 100 years.